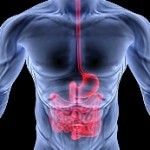 High Risk LifeI nsurance Agency can assist you with Life Insurance Approval with Gastroenteritis! Finding an affordable life insurance policy with Gastroenteritis can be quite the challenge. Can People Who Have Gastroenteritis Be Approved for Life Insurance? Yes, most individuals with Gastroenteritis will be able to qualify for traditional life insurance, the type of insurance which requires a medical exam. Best Case Scenario – Gastroenteritis cases rarely presents any serious complications except for dehydration especially among infants and elderly. But dehydration can be managed well that’s why most cases of Gastroenteritis qualify for the “Standard” rating. How often do you have Gastroenteritis in a period of one year? Gastroenteritis that occurs more than three times in a year may require the identification of the causative factor. If these incidences, however, are proven mild in nature with no serious symptoms of dehydration, then it may still qualify for a “Standard” rating. Do you have regular check-ups with your gastroenterologist? Regular visit to your gastroenterologist is a good sign of control of the condition and may get you a “Standard” rating. It is, however, necessary for laboratory and diagnostic exams to confirm the absence of complications such as severe dehydration. Do you have lifestyle practices that may put a higher risk of frequent recurrence of your condition? Lifestyle risks include intake of contaminated water or food, poor hygiene and living conditions and exposure to the contaminant such as in hospitals, clinics and restaurants. These cases may have special requirements such as vaccination to ensure less frequency of stomach upset. Gastroenteritis is also known commonly as Infectious Diarrhea. It is characterized by inflammation or swelling of the gastrointestinal tract that affects the stomach (gastro) and the small or large intestines (entero). The most common culprit for infectious Diarrhea especially in children is the rotavirus and the norovirus in adults, and Escherichia coli and Campylobacter for both. There are also parasitic gastroenteritis cases caused by Entamoeba histolytica. Transmission of the agent can be from improperly handled food, close contact with an infected person, use of contaminated water, poor personal hygiene and sharing of personal belongings. There are also non-infected cases of Gastroenteritis caused by long-term use of NSAIDs, lactose intolerance in children and allergy to certain foods. In these cases, eliminating the causative agent is the only management. The symptoms of Infectious Diarrhea vary from nausea, vomiting, abdominal pain, diarrhea, and cramping. The most common complication of Gastroenteritis is dehydration, which can be life threatening or even fatal among elderly people and infants. Complicated cases of diarrhea may show the same symptoms plus fever, headache, generalized weakness, muscle pains, bloody stools and severe cramping that may persist for weeks. Preventive treatment includes rotavirus vaccination for children, and in the curative stage, rehydration is the key. If cure is not successful, there are rare but serious cases of reactive arthritis, hemolytic uremic syndrome (HUS), Guillain-Barre syndrome, blood problems and still in rare cases kidney malfunction. See all our other articles on Digestive System Disorders and CLICK HERE!